Immense Love in Both Worlds, Sushant Singh Rajput-Kriti Sanon 'Raabta' Trailer Out! The much-rumored jodi is finally ready to thrill the audience with their love-chemistry on silver screen. We are talking about Sushant Singh Rajput and Kriti Sanon. A lot has been written on them dating each other after Sushant broke up with Ankita Lokhande. 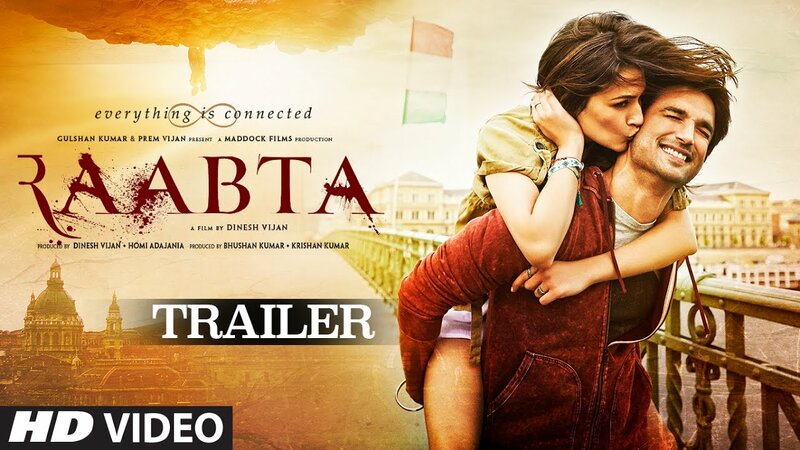 The trailer of their upcoming film, "Raabta" is finally out. You will be surprised and shocked with the historical looks of Sushant. The trailer shows how they both are struggling to get each other in two eras showing Modern Versus History. The moment you will feel 'awww', the villain of the story will enter and curse their love. The movie helmed by debutant Dinesh Vijan featuring Kim Sarbh who rose to fame with Neerja is essaying the role of villain. "We needed a soothsayers' voice for the trailer. Irrfan's voice is amazing and distinct. We were flying to Georgia when I asked Irrfan if he could do a small voice-over for 'Raabta', he agreed and then asked me the details." The movie is slated to release on 9th June.